To make your kitchen look good and stand out from the rest of the homes, many people opt for the modern granite countertops not realizing that they can have the similar levels of beauty and elegance in the marble countertops too. 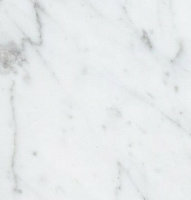 There are many advantages of marble that makes it the perfect choice for the kitchen countertops. Over the last few years, the choices of the people have moved towards the marble for the kitchen slab. Here are the few pints that make the marble best choice. Modern marble countertops are available in different hues and designs that make them gel perfectly along with the design theme in your kitchen. The shade of the marble depends on which area and region it was mined from and you can have the one that goes along with the rest of the color scheme in your kitchen. Marble is mined from large slab of rocks and thus can be had in huge sizes of slabs. Further polishing and designing of the marble gives them a mirror look that makes you kitchen stand apart. Marbles are natural heat conductors. As we all know kitchen is an area where you keep many hot utensils directly over the kitchen countertop. If it’s not marble, then the finish of the countertop can be damaged if anything hot is put directly on it. With marble countertops you don’t have to worry about the finish of the top getting ruined if you will put something hot directly on top of it. Marbles are very hard stone and to put a scratch on them, you need to try really hard. The use of knives and other sharp objects are often very common in the kitchen. With marble countertop you can use sharp things with ease as marble can take a lot of abuse and it won’t get scratched easily. The hard surface of the marble makes it a lot tougher than the other stones and it makes it safer than the rest when it comes to scratching the surface. Edmonton marble countertops are known for this specific quality that makes then the choicest of the stones when it comes to selecting a top for the countertops. As you have read, the marble is not only strong, but it is also elegant and stylish for your kitchen top. It is available in many designs and hues that make it gel with the rest of the design theme of the house and you can pair a lot more design elements around it. With various polishing options to choose from, the marble countertops can be tailor made to fit every kitchen. The advantages of the marble being it is easily available and can be had anywhere in any shape and size of the liking. This makes them the first choice for the people who look for the flexible options for the kitchen countertops.